Brighten and even the appearance of your skin with Talika Pigment Control Anti-Dark Spots Cosmetic Instrument, an anti-ageing light therapy device that targets dark spots on the face, hands and décolleté to promote younger-looking skin with proven results. 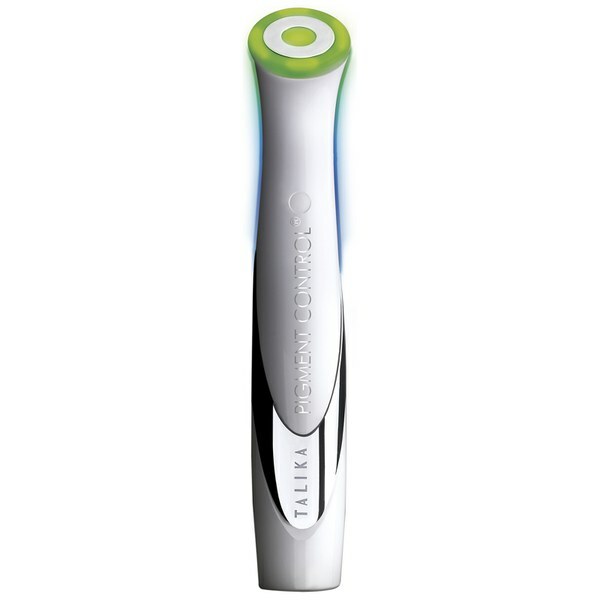 Inspired by aerospace research, the patented device combines the emission of Green Light (525 nm) Wavelength with an Ionotherapy Function; the green light targets and regulates melanocyte activity whilst imperceptible ionic micro-currents stimulate skin to enhance the efficacy and penetration of traditional brightening creams. 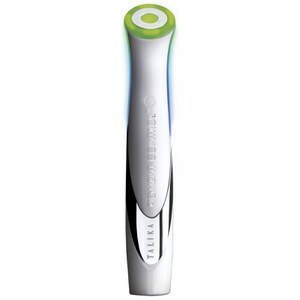 Delivering ultra-targeted action, the ergonomic tool helps to visibly reduce the size and intensity of dark spots and discolouration for brighter, more even toned skin. Easy-to-use and automatically switches off after one minute. Pigment Control can be used on its own or after applying a spot-reducing treatment, morning and evening, locally on spots on the face, hands and neckline. It is ergonomic and easy-to-use, so just switch it on, and it will activate when it comes into contact with the epidermis, automatically turning off after 1 minute. Apply skincare products (creams) only in the head of the device. Use creams only. Serums or liquid cosmetic products should be applied on face directly. Do not dip the device into cosmetic products/water as it may damage the device. Do not apply serums or liquid cosmetic products on the head of the device.